I used On the Strip 2 to make the background. Then I die cut a circle from a piece of 4" x 5 1/2" card stock. I popped that piece up on foam tape directly on the card base. I stamped the sentiment in Versafine Black Onyx. 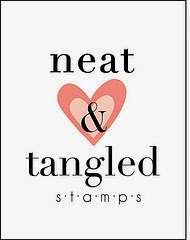 Next, I stamped a cut a heart out, from the same You+Me set, and then stamped the end of the sentiment on it. I attached it to the card front with adhesive. Hope you are all having a great Thursday. Thanks so much for coming by! Since my Stitched Rectangle dies were lost....I am making up for lost time. I want to use them on everything. So I am, really! I layered 2 rectangles together with foam tape and then added in the middle parts to the sentiment also with tiny chunks off foam ape. The card base is made with neenah and a piece of paper from Echo Park Hello Summer. I added in a splash of color with the ribbon and the enamel dot. Hope you are all having a great day! I am off to work! Thanks for stopping in! I used Big Bang Confetti and The big, the Bold and the Happy sets from Winnie and Walter. 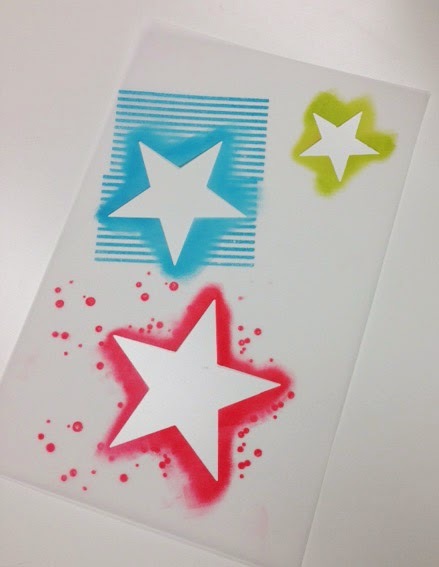 They are PERFECT for this stencil technique. I also added in stripes from Be Cool from Avery Elle. If you follow my blog you may have seen me do this before. I made THIS card last year using this same vellum technique. So I took a piece of vellum and die cut 3 stars. I was able to move the stars around on the card, so I could see right where I wanted them placed and then stamped on top of them. I took a makeup sponge and added in the color around the edges. So that is it for today. I am learning a ton in this class. Lots of fun techniques! What is your favorite technique so far? I used Amuse Slate Ink Reinker to add a little gray to the white paste. Then I simply added in a sentiment and some faux enamel dots. Easy peasy! I really love the texture this brings. And for someone who is generally CAS and a no mess kind of gal...I love this stuff. This class has been so fun so far and I love seeing all the gorgeous cards in the gallery! Thank you all for stopping by to see my card too! Today has been one of those days that is so productive, you have no idea where the energy came from. 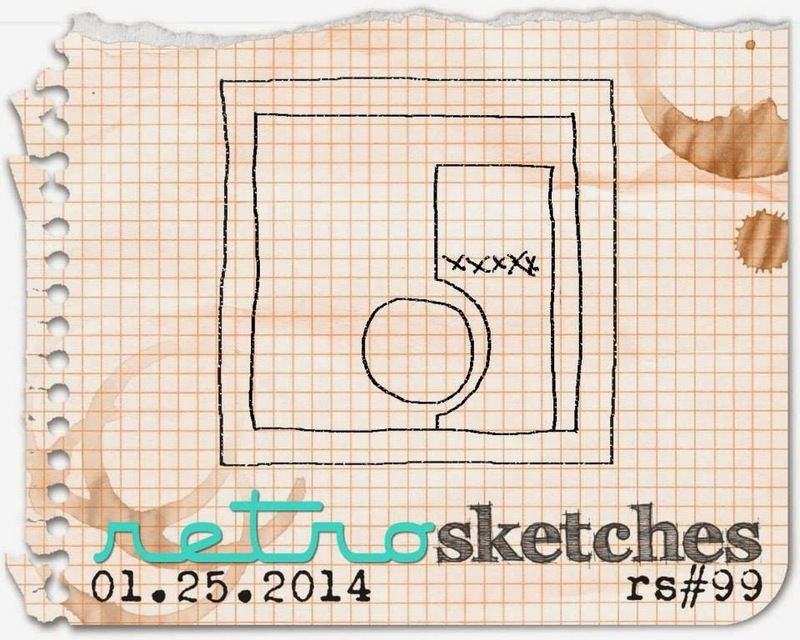 As I mentioned in my Retro Sketches post, I woke up ridiculously early. I typed up that post....and then the cleaning started. The kitchen....done.. Floors...done. Sliding glass doors...cleaned. Beds stripped. Then what do I next? I go to the gym. An hour of an amazing work out. Then home again....and some more cleaning. Where is this all coming from? I wouldn't normally share this kind of stuff but....these days are few and far between. And I must document all that I accomplished or I might forget. lol! With the kids playing with their cousins today, a quiet house had been a productive one. So now I am stopping in to share my first stenciled card. If you are not taking the class...you should. So much great info in one place! I loved Debby's video and card so much, I had to give her technique a try....and of course, CASE her card! Instead of making the tag, I used a Lil Inkers square to cut the vellum and then heat embossed that amazingly gorgeous sentiment with white embossing powder. Then I sewed it down. Yes. I sewed again. I may sew on every card ever now. Not really....don't hold me to that but right now it feels like I might. There is just something about that easily accessible sewing machine now. So handy! I used a Lil Inkers Rectangle die and a Lil Inkers Circle die to make the top layer. I do love that stitched look. Then I added in a sentiment from Simon Says Absolutely Delightful set. I popped up the little envelope on foam tape and added in a little heart. I layered this all on another piece of white card stock and then attached it all to the card base covered with Aqua Mist striped paper.